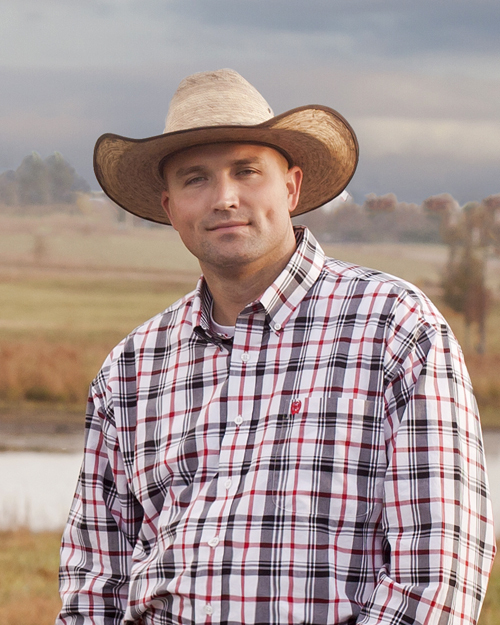 Nic (pictured) and Royce Cornelison are the owners of Lake Majestik Farms in Flatrock, Alabama. Royce and Nic Cornelison, owners of Lake Majestik Farms, announce their purchase of 50 registered Brangus lots from the historic 101 Ranch in Palo Pinto, Texas. Lake Majestik Farms is committed to providing the finest genetic offering of Brangus cattle. These purchases will ensure their ability to continue their commitment to the beef cattle industry. Obtained directly from the Camp Cooley Ranch dispersal sales by 101 Ranch, the cows are foundation bred Brinks cattle known to possess incomparable qualities for calving ease, growth, maternal and carcass traits. Check out Lake Majestik Farm’s website at http://www.lakemajestikfarms.com to see what is next for the herd. This entry was posted in News and tagged Alabama, brangus, Brinks.